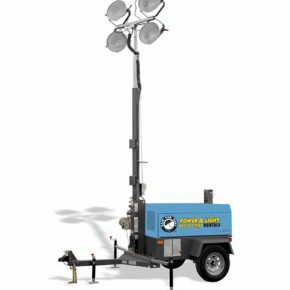 Built to illuminate job sites, special events, parking lots and road work, light towers provide illumination and power to fit your needs. 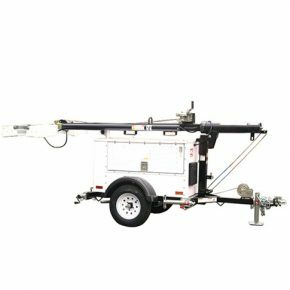 These mobile towable job site light towers have four 1,000 watt lamps to provide maximum illumination controlled by individual circuit breakers, these units are available in 8 kW and 20 kW models with a cold weather option. A large fuel tank allows for continuous lighting/run time, up to 94 hours.